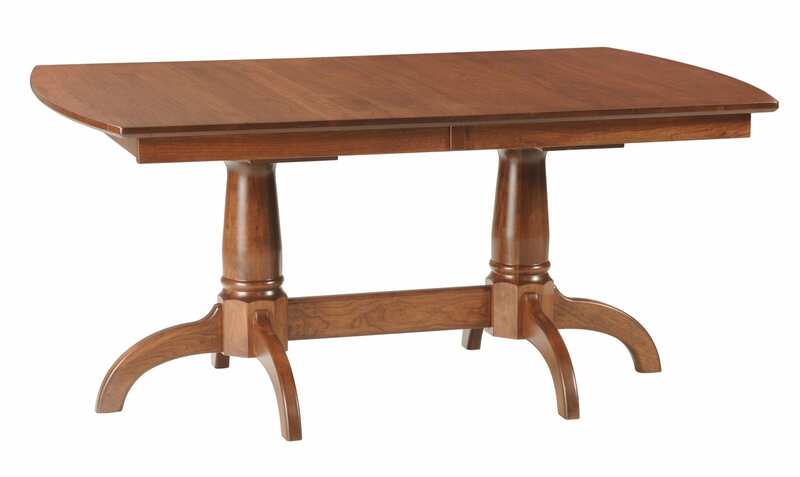 42″ x 66″ Heritage Double Pedestal Table shown in Cherry. Standard Features: Arched end top, solid 1″ thick top, 2 1/2″ wide skirting, Heritage edge, double equalizer slides, self-storing leaves, Heritage double pedestal, Heritage feet. Available in sizes: 36″-60″W x 48″-72″L (6″ increments). Leaves: Up to 14.